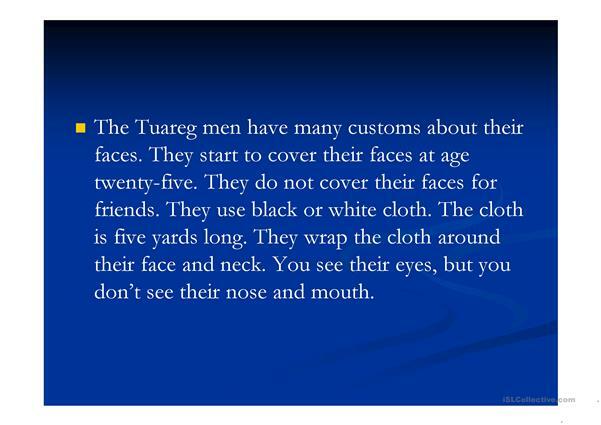 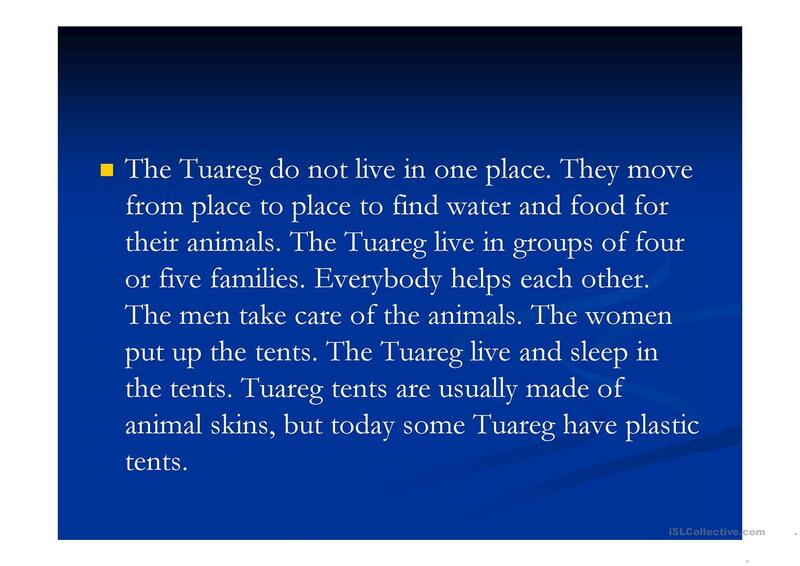 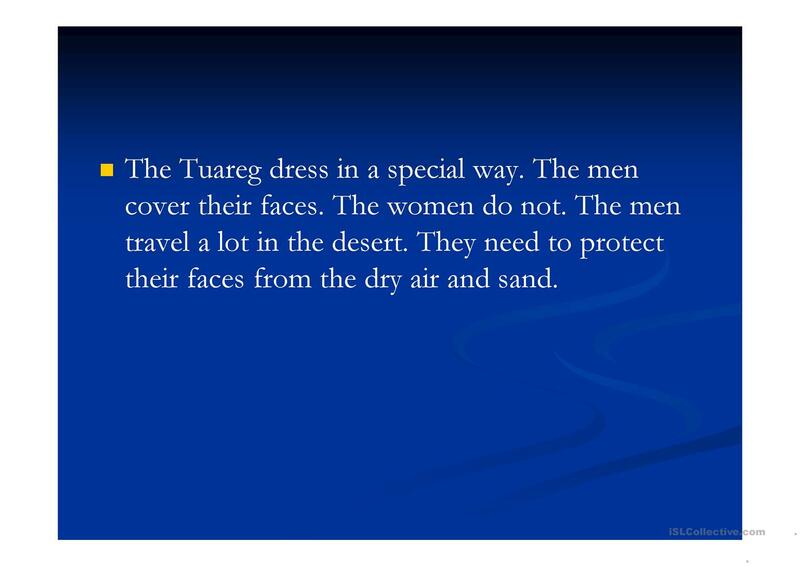 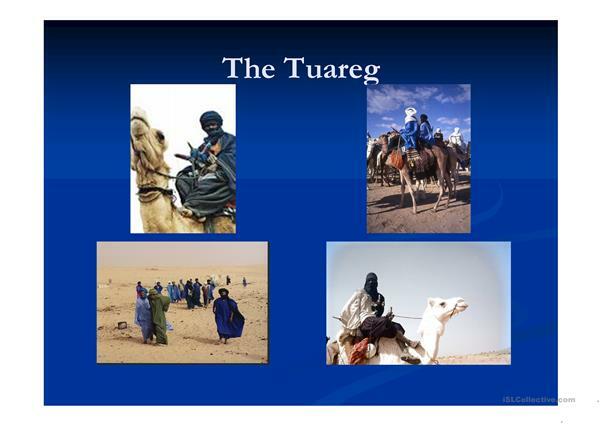 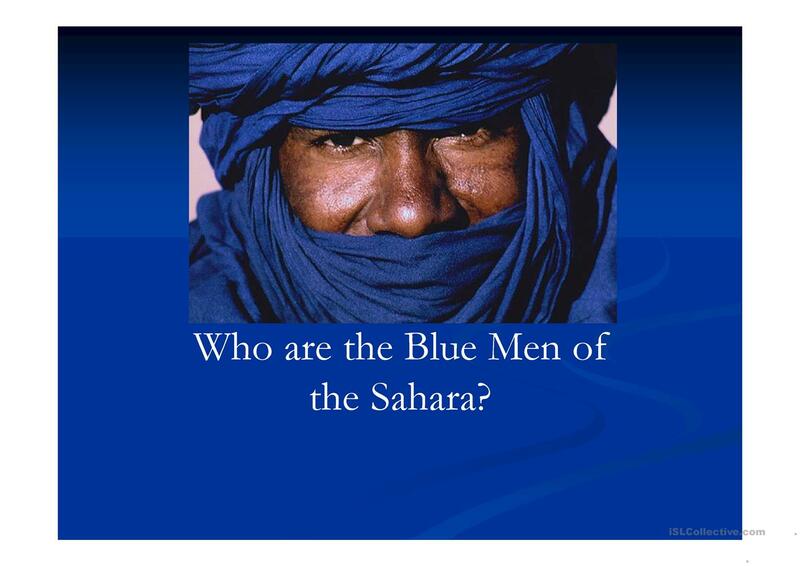 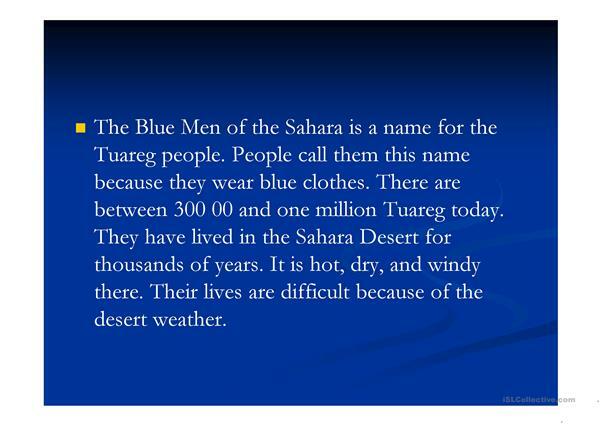 this is a Ppt about the Tuareg people who live in the Sahara desert. It is an easy article with questions and pics.. 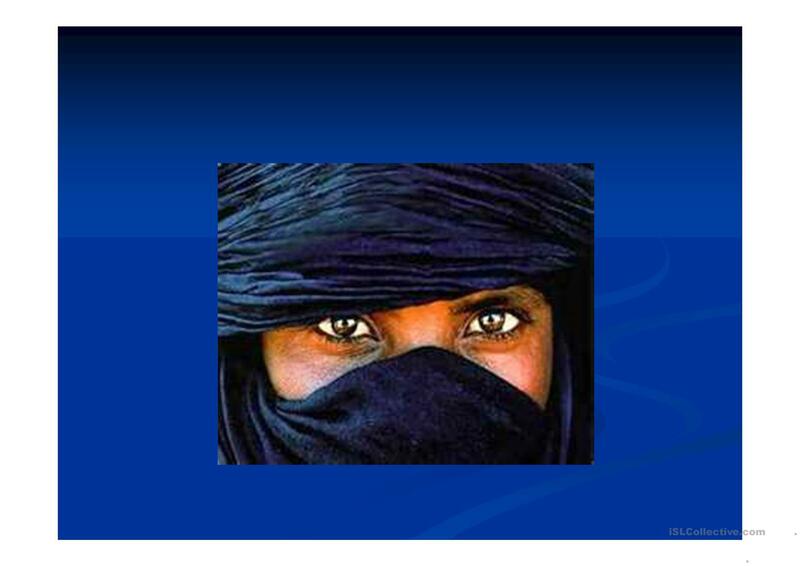 This downloadable handout was created for business/professional students, high school students and adults at Pre-intermediate (A2), Intermediate (B1), Upper-intermediate (B2) and Advanced (C1) level. It is excellent for working on your students' Speaking and Reading skills.